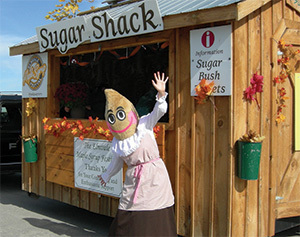 Located at the intersection of Queen and Yonge Streets, the Sugar Shack is the first place to stop for answers to any question you may have about the day at the festival. Be sure to pick up your copy of the Festival Guide. 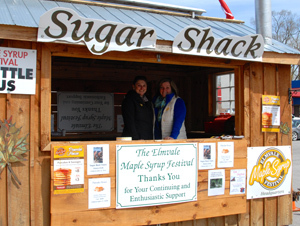 Tickets for the bus transportation to the Sugar Bush are only available at the Sugar Shack. Find something? Bring it to the Sugar Shack and we’ll do our best to find the owner. Lost something? Check-in in at the Sugar Shack. If it’s been found this is where it will be.